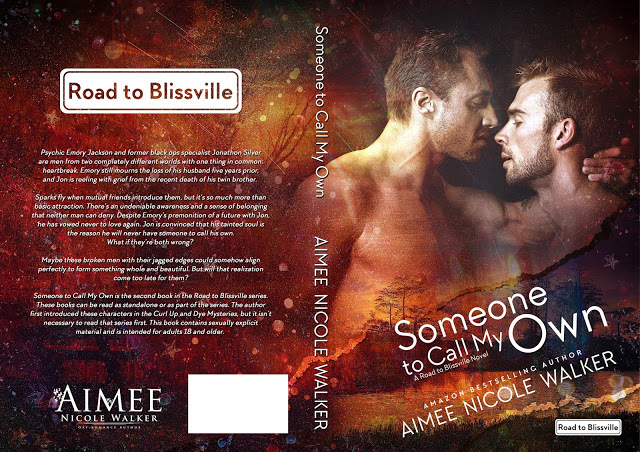 Someone to Call My Own is the second book in the Road to Blissville series. These books can be read as standalone or as part of the series. The author first introduced these characters in the Curl Up and Dye Mysteries, but it isn’t necessary to read that series first. This book contains sexually explicit material and is intended for adults 18 and older. Read my 4.5-starred review of Someone to Call My Own. 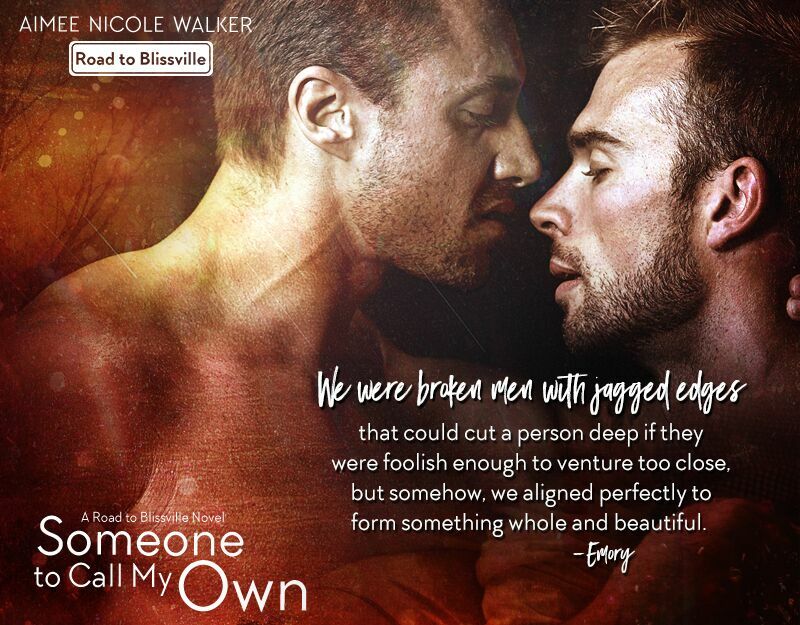 Add Someone to Call My Own on Goodreads. “I think we need to clear the air,” Jonathon said in a calm, rational voice. “So.” Denying it existed wasn’t working. It was time to change tactics. “That doesn’t mean I want or will act on it.” I ran my hand over the infinity tattoo I had inked over my heart. It felt like River’s name was burning my skin like he knew the truth and was calling me a liar. Or, maybe it was anxiety that gripped my heart in its tight fist. Whatever the reason, I felt lightheaded and dizzy. Suddenly, my body felt cold and hot at the same time, and tiny little needles pricked my skin from head to toe. I licked my lips that had suddenly gone dry and numb. “Then leave,” I wheezed between gasps. Hot tears of humiliation flowed freely down my face. No one had ever seen me in the midst of a panic attack and I’d always been able to pull myself out of them on my own. That one was different, and I knew I needed help. I breathed in slowly, held it for three seconds, and released it. I focused on the way his hands moved up and down with my breathing and pretended that I expelled all the bad energy with every exhale. I repeated the process ten or twelve times before I was completely calm again. Jonathon pulled his hands off of me and balled them into fists. He didn’t look angry or like he wanted to hit me. It looked like he needed to do something with his hands but wasn’t sure what. He lowered himself into a chair beside me. “Emory, I haven’t done anything to you so why would the sight of me cause you to panic?” Jonathon sounded truly baffled and a little insulted.